The Moravian’s first came to the Wachovia Tract in present day Forsyth County in 1753. Salem, the main town, was started in 1766. 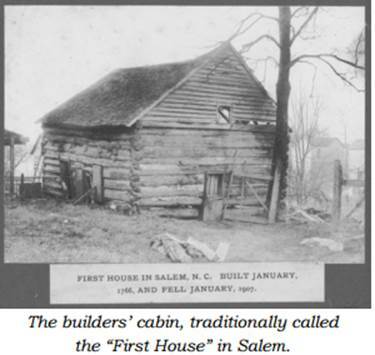 Salem is one of the first 3 planned towns in the Carolina colony. Interested in history? Consider joining the Wachovia Historical Society http://www.wachoviahistoricalsociety.org/ as well as the Moravian Archives http://moravianarchives.org/ . The archives offers a plethora of great history right in the heart of Old Salem. WHS is one of the nation’s oldest historical society, established in 1895.